The writing was on the wall for John Miller in February when the Bills had agreed to sign G/C Spencer Long to a three-year contract. Miller, who started 15 games at guard on a Buffalo line that really struggled, agreed to a three-year deal with the Bengals Friday. ESPN's Adam Schefter says the deal is valued at $16.5 million. A third-round draft pick in 2015, Miller played in 47 games with the Bills and started all 16 in 2016. He started the first four games in 2017 and then was benched for the remainder of the year. Pro Football Focus graded Miller 64.3, about Top 25 among guards in the league. 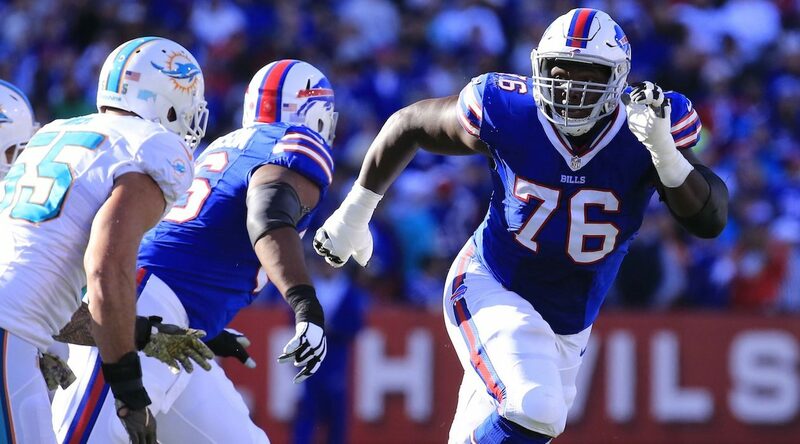 Buffalo's offensive line will have four new week one starters in 2019 as Brandon Beane continues to retool the roster. The only returning starter will be Vlad Ducasse. Special teamer signs in San Fran after Buffalo visit: San Francisco free agent linebacker and special teams ace Mark Nzeocha re-signed with the 49ers. The Bills hosted Nzeocha, who led the 49ers in special teams snaps, Thursday. Upgrading at special teams was a big priority for the Bills this offseason. They did, of course, sign return man Andre Roberts earlier in the week.